When it comes to making extra money, the options are seemingly endless. The gig economy has led many to join ride-hailing services, try their hand at writing, or simply do surveys for some pocket cash. However, many of those potentially income-increasing routes don’t ignite everyone’s passion. Luckily, if you have a love of photography, it is possible to turn a keen eye and a decent camera into a money-making opportunity. Many stock photography websites accept submissions from amateur photographers. As long as the image quality is high enough and the subject matter has value, you can earn some additional cash from your photos. 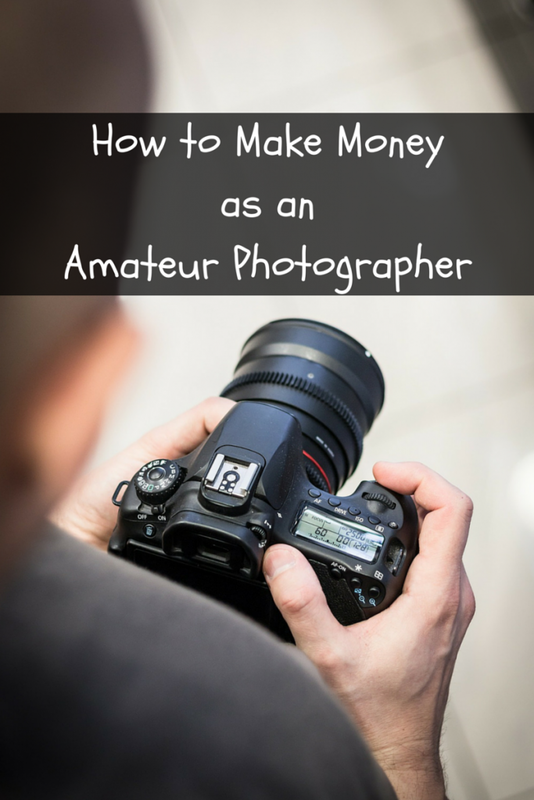 If you want to make money as an amateur photographer, you first need to learn what is and isn’t a quality photograph. You can’t simply head outside with your smartphone and expect to make hundreds of dollars from a single image. Instead, you will need to invest in a camera that can produce digital photos that meet the requirements of stock photography sites, if you don’t have one already. This doesn’t mean you need the latest and greatest camera. You may be able to find a used option at a reasonable price that still does the job admirably. Additionally, you will need editing software. Few photographs are perfect as-is. In most cases, you’ll need to make certain changes, like cropping, adjusting the temperature, or sharpening the image. Begin by heading over to websites like Adobe Stock, Shutterstock, and Stock Photos. Review their submission requirements and make sure any images you intend to submit meet the parameters. If your existing photographs don’t fit the bill, then make sure your camera is capable of taking images that meet the standards. If not, then you’ll need to purchase a better camera. If so, then taking new photos may be all you need to do to get ready. You’ll need an online platform to sell your images. Often, this means taking one of two approaches: becoming a contributor on a stock photography site or setting up your own website. When you first attempt to join a stock photography site as a contributor, it’s common to need to submit several photos, so you’ll need more than one potentially qualifying option to begin. After you submit your application to join, the site reviews your images and makes a decision. If your first images are rejected, don’t give up. Usually, the website will provide feedback regarding their decision. Just read over the information and use it to improve your next batch of photos. With a little time and diligence, you can work your way to acceptance. Alternatively, you can attempt to sell your photographs through your own website. However, this can be a more challenging approach, especially for an amateur with a limited budget. This is because you will have to pay for web hosting services and actually developing your website. There are multiple website builders out there that are free though and you might find one that suits your needs. Securing your own domain and setting up the site on the backend requires time and money, as well as an additional skill set. Plus, you’ll need to develop a watermark to place on your photos on your site. This ensures they can’t be easily copied, increasing the odds that you will be paid for your work. If you decide to start your own website, you’ll need to divide your images into categories. This allows people to skim what you have to offer according to their needs with greater ease. For example, food, landscapes, animals, travel, and architecture could all be functional categories, depending on the nature of your work. Additionally, you’ll need a search function and must tag your photos with keywords. This gives people the ability to look for images according to the subject matter. Regardless of your approach, make sure to upload as many photographs as possible. That way, you’ll have the largest inventory possible, increasing your odds that you’ll generate a reasonable amount of passive income from your past work. What Kinds of Photos Sell Well? What kind of photos are in demand can vary dramatically. Some stock photography sites provide guidance to contributors, highlighting recent searches that have had a lot of traffic. However, you can also peruse the website’s best sellers. This gives you an indication of what people are buying, allowing you to choose subjects that are similar to those. However, certain categories tend to be popular over the long-term. Cityscapes, landmarks, foods, and images of people all provide value. Technology-oriented photographs, such as a person using a laptop or smartphone, can also sell well. Around holidays, images that relate to the occasion can see a spike in interest. For example, Christmas lights and trees may experience higher demand starting in November. What Kind of Digital Camera Do You Need? If you are an amateur photographer looking to earn some side income from your photos, then you’ll likely need a DSLR (digital single lens reflex) camera. They provide you with a range of features, like autofocus and HD capabilities, as well as the ability to change out your lens. Typically, a new DSLR can run anywhere from $300 to $3,000. 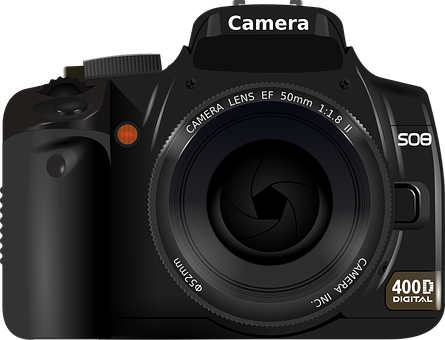 When you are just starting out, you may want to purchase a lower cost option, like a Canon EOS Rebel or the Nikon D3300, if you want to buy new. If you are open to buying used, then you can get a higher quality camera for significantly less than retail price. Craigslist, LetGo, and even pawn shops can be great options for finding used cameras. In some cases, you can explore borrowing a camera from a friend or family member. This may allow you to start your new side hustle without a significant upfront investment. Many of the sites also have affiliate programs. This means, if you refer a friend and they become a contributor, you may earn a few extra bucks. 3 more things you can sell for extra money. Thank you very much, what a great advice? I’ve tried Shutterstock before but got rejected so I never tried it again. Now, I’m just enjoying photography. I submitted to Shutterstock 2 years ago and was rejected and their reasons for such were not from seasoned photographers. The first photos were rejected due to the subject not being in the middle of the photo. I shoot with the rule of thirds. The next photos were rejected because I didn’t blur the background. They were landscape photos and blurring the background would have ruined the photo. So, I decided to submit a picture that had already won first prize in a different photo sharing site. They tell you it will take 2-3 days to judge your submission. It took 45 minutes to reject my prize winning photo. Reason? They thought it was too dark. It was of a jogger running along the beach during a storm. I have it enlarged on the wall of my office. It looks haunting and beautiful. So I stopped submitting. Stay away from ShutterStock.